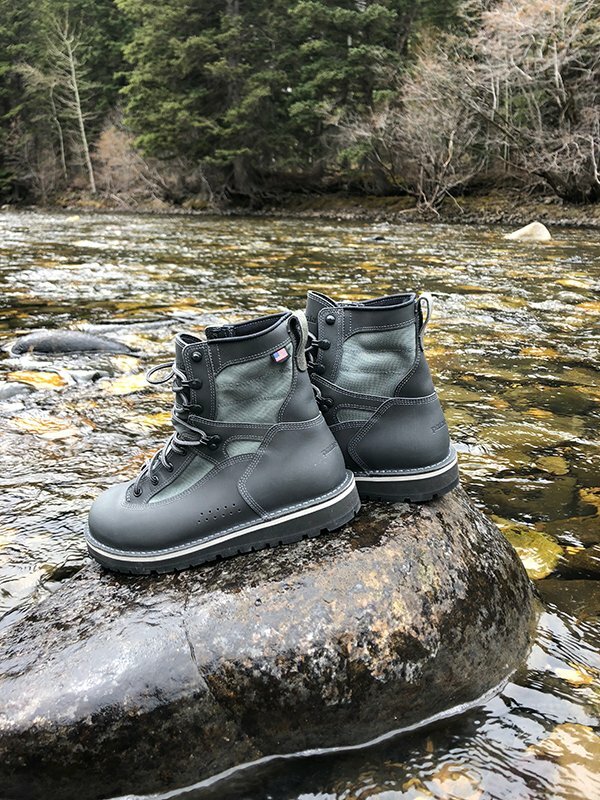 Back in 2017, we reviewed Patagonia’s Foot Tractor wading boot. We gave it a glowing review for all-day comfort, traction, and fit. In 2019, Patagonia has outdone themselves again. This time by partnering with Danner to release an updated Foot Tractor. It’s handmade in Portland and an impressive creation. The new Patagonia Foot Tractor has a full-grain leather upper for waterproofing—and you’ll be happy to know that Danner has used a PFC-free saline-solution tanning process, which is both better for the environment and reduces leather breakdown (including in saltwater). When you do get water in the boot, it drains quickly from the side perforations in the upper. Two midsoles—one rubber and one polyurethane—make this a comfortable book for all-day hiking. They soak up a lot of impact and blunt sharp rocks that you’ll often find in riverbeds. Where the Danner version of the foot tractor really stands out is the sole. 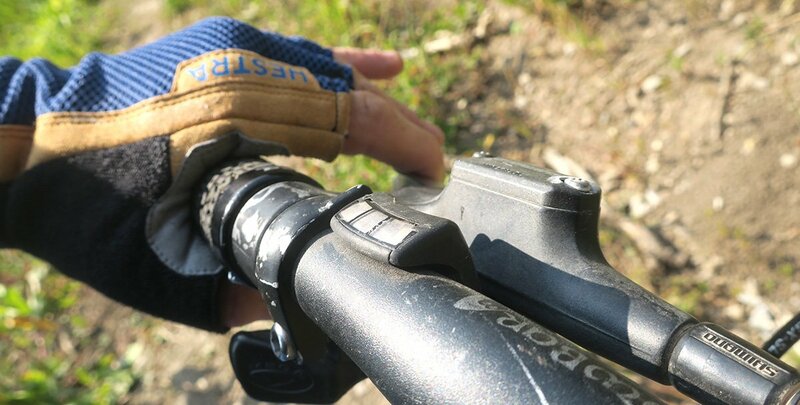 You have three options: rubber, aluminum, and felt. 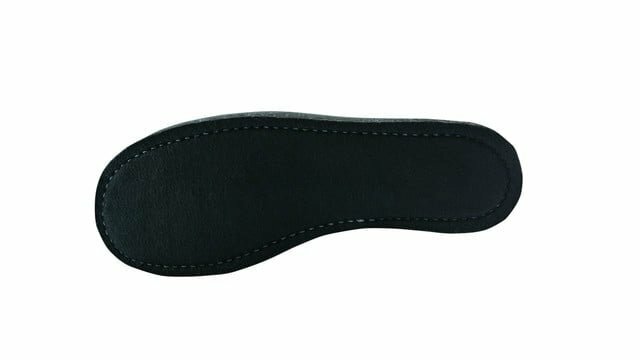 The rubber sole is made with Vibram rubber for grip and durability. If you’re looking for an all-around hiking and wading boot, this is a good choice. 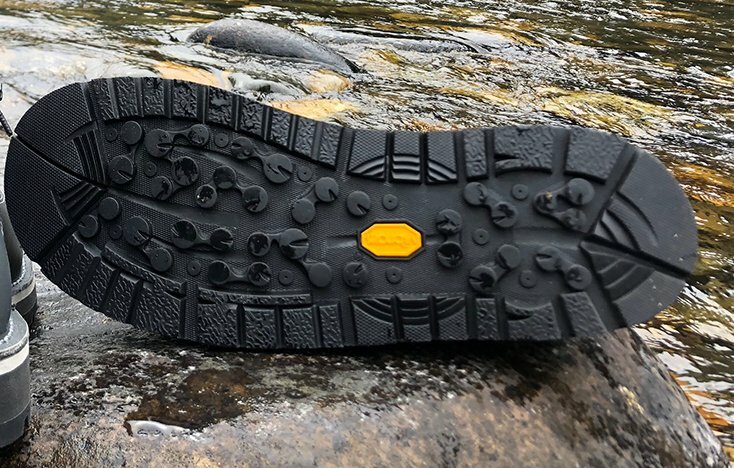 You get the same Vibram rubber you’ve come to expect from just about every boot out there. Aluminum plates add extra grip (which we found to be hugely useful on the previous Foot Tractor) in the aluminum version of the Danner Patagonia Boot sole. The plates are designed to cut through river slime, and will really dig into softer surfaces. The metal is soft enough to give you extra grip on hard ones, too. And the new felt version is great for getting grip on slippery rocks. Flyfishermen have long used felt to maintain traction when they’re in the water, and the debate between rubber and felt has raged for years. If you’re on the felt side, this is the boot for you. 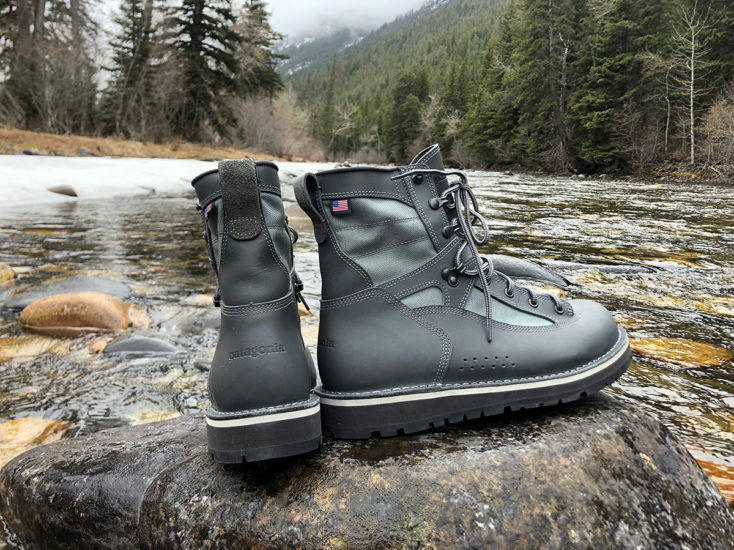 Danner’s Foot Tractor is designed to be worn with wader booties or thick socks, and Patagonia recommends choosing your regular street shoe size. If you plan on using thin wader booties or regular socks, Danner recommends sizing down. As with any other boot, it’s best to try it on first. Jonah gave the previous version of Patagonia’s Foot Tractor a glowing review for its ability to stick to a variety of surfaces and the fact that it was comfortable (and blister-free) on an all-day hike. We have no doubt that Danner’s contribution to the boot will only make it better. Want to grab a pair of these boots? And be sure to keep an eye out for our upcoming review of the Orvis / Danner collab boot!